Fraxel laser is a non ablative fractional laser, useful in the treatment of mild acne scarring, facial rejuvenation and superficial facial pigmentation such as sun spots and sun damaged skin. 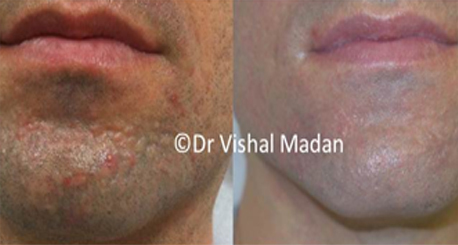 One of the advantages of Fraxel treatments is the low downtime and low risks of side effects. Generally, 3-5 sessions, spaced at 4 week intervals are required.